We have a monthly recurring group that will start meeting at Vagabond Coffee in Murray Hill every first Tuesday of the month starting November 1st. You can think of this group like coffee with a friend! 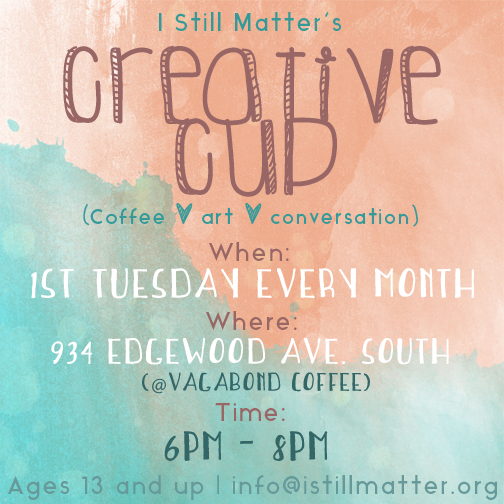 This group is super casual, encourages community and teaches art and creativity as a coping skill. Art activities for the Creative Cup range from coloring to weaving to blackout poetry. There is no charge for the art supplies or activities provided at these events. You are free to bring something you are working on for yourself and just come for the conversation!